x360ce v4.8.0.11 Alpha is compiled. 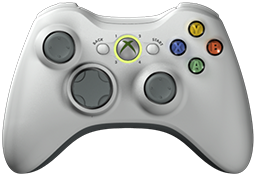 Xbox 360 Controller Emulator (a wrapper library that translates the xinput calls to directinput calls) which allows your controller (GamePad, Joystick, Wheel, ...) to function like an Xbox 360 controller on a Windows PC. For example it allows you to play Grand Theft Auto (GTA) game with Logitech wheel. * Update logging. Supress error reporting to disk if too frequent. * Removed old GDB code. * Fixing and updating cloud support, database and classes. * Added AnyCPU build (one x360ce.exe for 32-bit and 64-bit OS). * Fix force feedback not working when controller re-connected. * Fix polling rate enumeration values. * Fix virtual controller Polling Rate, URL setting options. * Added support for profiles. * Fix emulation starting when application starts minimised. * Implemented auto-start with windows option. * Fixes for mouse mapping and controls. * Removed more old INI/DLL emulation code. * Implemented mapping completion value.